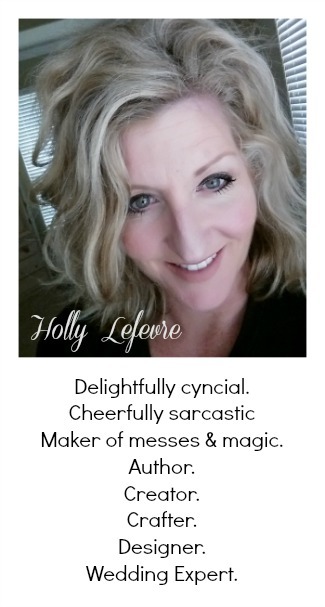 504 Main by Holly Lefevre: Cinch! Review and Cinch! Giveaway - CLOSED! A few weeks ago I was asked if I would be interested in reviewing Cinch! 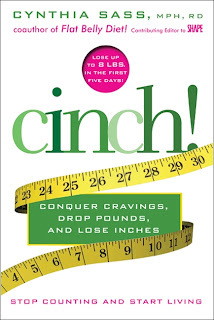 Conquer Cravings, Drop Pounds, and Lose Inches by Cynthia Sass (I LOVE her last name). She is also the coauthor of The Flat Belly Diet and a registered dietitian. I did a little poking around and liked what I saw and agreed to review Cinch! In the past I have struggled with my weight...in fact on Monday I pulled a long, lost post out of the archives to tell you my weighty story. The one thing I strive to be is honest and real here and I feel like you should know where I am coming from...I have tried many plans and menus that are considered to be healthy. I am open to new ideas, but I firmly believe in eating real food and conquering with my mind, body, spirit - not a quick fix. When I first opened the book and started reading, two things jumped out at me. Early in the book there is a section entitled "What's Different - Cinch!" #1 - An emphasis on portion control and balance instead of counting calories. YES - Score #1 for me - as soon as you tell me to count calories I feel deprived...my successes in the past have all been based on not counting calories. #2 - A strong emphasis on whole foods and local and organic foods. YES - Score #2 for me - this is huge in my belief system on food. I am striving to do away with processed food in our house, and have switched over the pantry to include whole and organic foods (an occasional junky-something makes it in there however). Cynthia's approach, as also descried in the book is one of a "whole person perspective" - physical, emotional, social, occupational, intellectual, spiritual, and environmental. Because of these and many other statements in the book, I was getting excited and completely on board with trying this plan. So, I made the decision...I am doing it. I am doing the 5-Day Fast Forward to jump start my results (I am an instant gratification type of person...results keep me going). You do not have to begin with the 5-Day Fast Forward...the meals are the same for the 5 days and the food choices are limited to 5...but it is only 5 days...and I happen to like all the food choices. There is no soda (even diet) and only one cup of coffee - that is hard for me (I rely on my mochas way too much!). I have actually cut back on the coffee by not purchasing my special Coffee Bean No-Sugar Added Mocha Powder - it is just not as good without it, so that makes it easier to not drink it. Tea, water, flavored calorie-free seltzer water, and flavored calorie-free flat water are all OK.
Cynthia is lucky enough to have a cool last name - SASS - that also translates into Slimming and Satiating Seasonings, which include citrus juice or zest, vinegar, hot peppers, tea, and herbs and spices you use to dress up your meals. In our house we use these on a regular basis anyway! Another huge SCORE! So, I am starting my 2nd day of the 5 Day Fast Forward tomorrow...I have practiced for a few days...I simply decided that to start while the kids and hubby were all on vacation and we were all over the place was not ideal. The menu for the remaining 25 days - the Cinch! Core - is much more diversified and sounds fabulous. It also include vegetarian and vegan options - HUGE points there! Strawberry Vanilla Hazelnut "Ice Cream"
My family will easily enjoy many of the meals, and I will feel good preparing and serving them as they are wholesome healthy meals. There is even a 5-piece puzzle cheat sheet to assist you with planning the meals. Additionally...you get to enjoy some chocolate with Cinch! Yes, you heard me...find some time and some dark chocolate and enjoy it, really enjoy it. I would be remiss if I did not mention the fact that while I know a decent amount about nutrition, Cynthia covers a lot of information about nutrition and also touches on emotional eating and how food issues begin when we are young (yes, I have given my kiddos a lollipop to sit in the shopping cart...I am guilty). I enjoyed these sections very much, because I do believe this is where the root of my issues lie and I am trying to not pass that on to my kiddos. In my opinion, Cinch! it is a sensible, healthy, approach to getting on track and conquering the scale. It is definitely a book I would pick up at the book store. It is a plan that works or appears (cannot tell you for sure until I am done!) that it would work for me and my family (I just cannot prepare multiple meals at dinner time). As I go about this plan, I am hopeful...I am ready to conquer this little demon of mine. This plan gives me flexibility while providing quality guidelines...I can live with that! I'll keep you posted! UPDATE: I think I left this out and feel it needs mentioning....I know the only way to get and maintain the results I desire are through a lifestyle and attitude change. So, I am incorporating the good habits into my life and workign on staying on track. Now...how would you like to win your own copy on Cinch!? There are multiple ways to enter...You must leave a comment for each entry. If your email is not visible in your profile or linked to your profile, you must leave it so I can contact you. Giveaway ends 1/11/10 at 12:00 am PST. Winner will be announced on this blog. 1. Mandatory---Be a follower of 504 Main via Google Friend Connect. 2. Like 504 Main on FaceBook. 3. Like Cinch! on Facebook. 4. Follow 504Main on Twitter and Tweet the giveaway. "Win a copy of Cynthia Sass's Cinch! @504Main." Leave url in comment. 5. Post on your Facebook wall. Here is a little taste of Cinch! from The Early Show. Disclaimer: I was provided with a proof copy of Cinch for review. The opinions here are my own. this sounds like a really good book & a great way to start off the New Year. As usual, eating healthier & losing weight are on the resolution list. Thanks for taking the time to review & blog about it. This sounds like a sensible approach to eating and getting healthy, which is at the top of my priority list right now! I started a diet back in early November. I figured if I could diet through the holidays, I could probably be successful. So far, I have lost about 10 pounds! This sounds like a fabulous way to start the new year as I am always looking for healthier ways to eat now. This really intriques me. I am not looking to lose weight in 2011 but I am absolutely looking to eat healthier. I would like more energy and to feel better about from where our food comes. I debated about reviewing this w/ O2O and have since picked up and put down copies of this in the bookstore so I would love to win it! It sounds like a lot of this would work for me and not be so restrictive as to be defeating. I have been making green smoothies since the New Year ( I remembered you tried these) and they're not too bad! Sounds like a good plan. I'm a follower. I need all the help I can get! I am a follower & would LOVE to win this book! What a great way to start the new year. Here is where I am coming from: about 70 lbs overweight, Type 2 Diabetic, Fibromyalgia & Sarcoidosis. Would love to feel better in 2011. Thanks for taking the time to review this book. I "Liked" 504 Main on Facebook. I "Liked" Cinch! on Facebook. Sounds great! Wanted to let you know that I awarded you with the Stylish Blogger award! Details are on my blog. So glad I was able to find you again. The hard drive on my laptop fried a while back and I lost a lot of my blogs. This book and plan sounds great. I don't do resolutions anymore because I usually fail, but I want to focus on better eating choices. Thanks! I gained 10 lbs over thanksgiving/christmas.. and I vow to do less food blogs... but I wanted to tell you I would love to win...the book.. but I miss you too.. I got featured on Pint Size Social...gave you a shout out in there...go see! This sounds really interesting! I love the realistic approach she's taking - and the emphasis on non-processed foods. I'd love to win! Following on Twitter too with my brand new baby Twitter account. ;) I tweeted too. That sounds weird. I just read the word tea and now I am enjoying a nice cuppa! Mmm coffee is the best! Following 504 Main via Google Friend Connect. Following 504Main on Twitter @kikipatterson. I'm a follower.. and I would LOVE to win this for my MOM! I like 504 main on Facebook! I saw her on Racheal Ray earlier this week! Awesome giveaway! I follow on GFC! hey girl, following 504 and cinch on FB... i'll post about this giveaway on sunday if it't not too late! I follow 504...hubby and I could totally use this! I am a follower and would love this book. I am a follower! This looks like a great book! I liked Cinch on Facebook! I liked 504 Main on facebook! I'm already following you via GFC. Thanks for the giveaway! Off to enter! Just 'liked' you on facebook. i posted a link on FB to the give-away. *forgot to post email address on other comments - hope i win! I am a follower of 504 Main via Google Friend Connect. I liked 504 Main on FaceBook. I liked Cinch! on Facebook. I follow 504Main on Twitter and tweeted about the giveaway.